THF has been a proud member of RSM US Alliance, formerly McGladrey Alliance, since 1999. RSM US Alliance is a premier affiliation of independent accounting and consulting firms in the United States, with more than 75 members in over 38 states, the Cayman Islands and Puerto Rico. This affiliation gives us access to a full range of national and international capabilities. As a member of RSM US Alliance, THF has access to resources and services RSM US LLP provides its own clients. RSM US LLP is the leading provider of audit, tax and consulting services focused on the middle market, with more than 9,000 people in 86 offices nationwide. RSM US LLP is a licensed CPA firm and the U.S. member of RSM International, a global network of independent audit, tax and consulting firms with more than 38,000 people in over 120 countries. 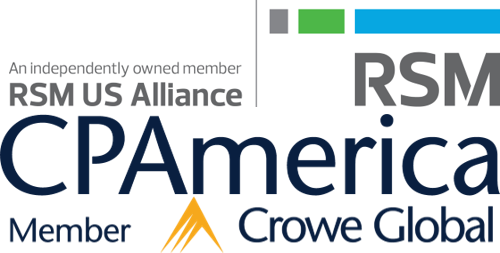 We accepted an invitation to become a member of RSM US Alliance because it is a natural fit with our commitment to our clients and our determination to stay at the forefront of developments affecting accounting and consulting firms today. Visit rsmus.com/alliance to learn more about our membership. RSM US Alliance member firms are separate and independent businesses and legal entities that are responsible for their own acts and omissions, and each are separate and independent from RSM US LLP. RSM US LLP is the U.S. member firm of RSM International, a global network of independent audit, tax and consulting firms. Members of RSM US Alliance have access to RSM International resources through RSM US LLP but are not member firms of RSM International. Visit rsmus.com/aboutus for more information regarding RSM US LLP and RSM International. RSM, the RSM logo and RSM US ALLIANCE are trademarks of RSM International Association or RSM US. The services and products provided by RSM US Alliance are proprietary to RSM US LLP. THF is an independently owned and operated member firm of CPAmerica, one of the largest associations of CPA firms in the United States. Through our affiliation, we have instant access to the expertise and resources of more than 3,900 professionals across America. THF offers clients unique access to national and international markets through our membership in CPAmerica, an association of independent accounting firms that maintain the highest practice standards. THF serves the international needs of clients through CPAmerica’s membership in Crowe Global. Ranked as the eighth largest accounting network in the world, Crowe Global is a leader with over 200 independent accounting and advisory firms in more than 130 countries. Crowe’s leaders work with governments, regulatory bodies, and industry groups to shape the future of the profession worldwide. Their exceptional knowledge of business, local laws, and customs provide lasting value to clients undertaking international projects.